It is not an easy job to be a dental surgery assistant. You need to perform a lot of tasks throughout the day such as preparing the surgery room, work in the dental office, deal with patients, cleaning and sterilizing instruments and etc. It takes a lot of hard work and dedication to be the dentist’s right hand man. 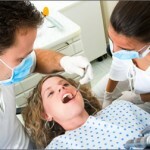 – Make sure that the dental chair and treatment area are kept clean and tidy. For example, the spitting sink should be free of blood stains and sputum. – Replace a new set of disposable dental drapes and cups. – Place a new set of dental instruments at the work area. – Work fast to minimize patients’ waiting time. After getting everything ready, you can now invite the patient in and ask him or her to take a seat in the dental chair. To make them feel welcome, you can greet them with a big warm smile and communicate with the patient by asking them about the subjects they are involved, such as work, family hobbies. This will also reduce some amount of anxiety before starting the treatment. Click here to read about dental phobia and how to overcome it. Place a dental bib over the patient and adjust the head rest so that the patient will feel more comfortable. – Position the dental light for maximum illumination of the area where dental procedure is being performed. Avoid directing the light into patient’s eyes especially children. Besides that, keep the dental light off until your dentist takes his/her seat. – Keep the operating field clear by doing a good job in evacuating of excess water and saliva. – Restorative materials can set very fast thus it is important to work fast during mixing and manipulating materials. (Understand the desired consistency) Avoid wasting restorative materials as they are very expensive. After the treatment process, it is the dental surgery assistant’s job to dismiss the patient. He/she will remove the patient’s dental drape, adjust the dental chair, and redirect the dental light so that the patient can leave the dental chair comfortably. Now, place all the used instruments and hand pieces at the sterilization counter. Carefully dispose used needles and amalgam waste at proper disposal bin to avoid dental hazards (such as needle prick injury). 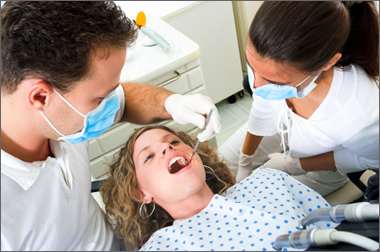 An effective dental surgery assistant should know the importance of cross infection. You should wear a pair of disposable gloves while cleaning and sterilizing the treatment area. It is also part of the assistant’s job to clean and sterilize used instruments. After cleaning the instruments, you should make sure that they are squeaky clean and dry before placing them into the autoclave machine. Dental surgery assistant should be careful in handling instruments like hand pieces as they are very fragile and can easily spoil if dropped. This entry was posted in Oral Care and tagged cleaning and sterilisation, dental assistant, dental surgery assistant, dental surgery assistant job, instrument on September 19, 2011 by SH.